Good morning from beautiful Hamburg and welcome to the last Daily FX Report of this week. Right in time for the weekend it began to snow this night and increased our hope for white Christmas. However, we wish you a prosperous last trading day and a nice weekend. In the early Tokyo trading hours the JPY gained against the USD on speculation that Japanese exporters will bring its overseas earning home before the end of the year. The Bank of Japan decided at its meeting today to keep the borrowing costs at the same low level and left the key interest rate at 0.1 percent. The EUR/USD stopped its losing streak during the Asia session and rose to 1.4412 at its highest level having the currency pair lost yesterday up to 1.59 percent. Economists expect that a German report will show that the business confidence rose to the highest level since July 2008 today. Ben Bernanke won backing for a second term as chairman of the Federal Reserve. The U.S. Banking Committee voted 16-to-7 to recommend Bernanke’s nomination to the full Senate. 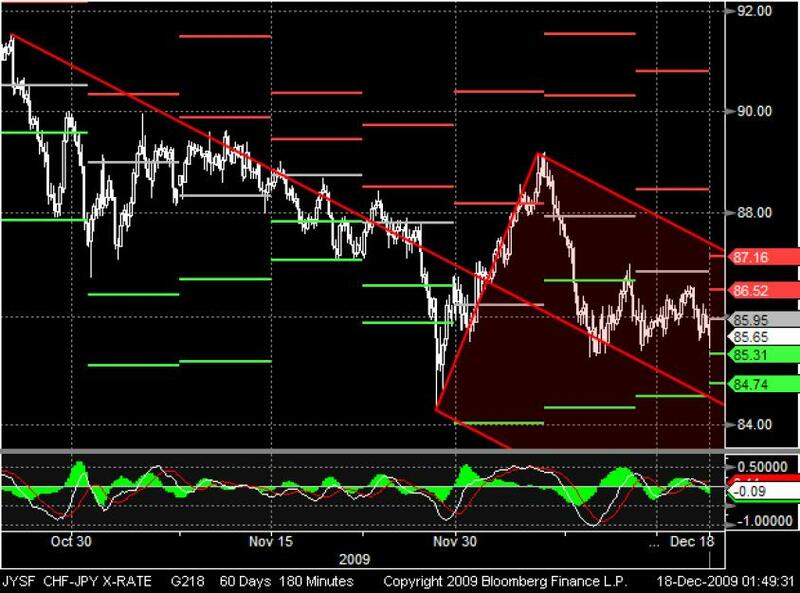 The AUD/USD touched its weakest level in more than two months and headed for the biggest weekly drop since February after U.S. jobless claims unexpectedly increased while the U.S index of leading indicators rose in November for its eighth consecutive month by 0.9 percent. The CAD declined to a three-week low versus the USD as a drop in global stocks reduced demand for commodity-linked currencies. After Gold climbed during the November and the first December week to new all-time highs day by day the trend reversed and the metal plunged down below the 1100.0 level at least. Indeed Gold broke out of its bearish trend-channel on Wednesday but only one day later the bears get control again. 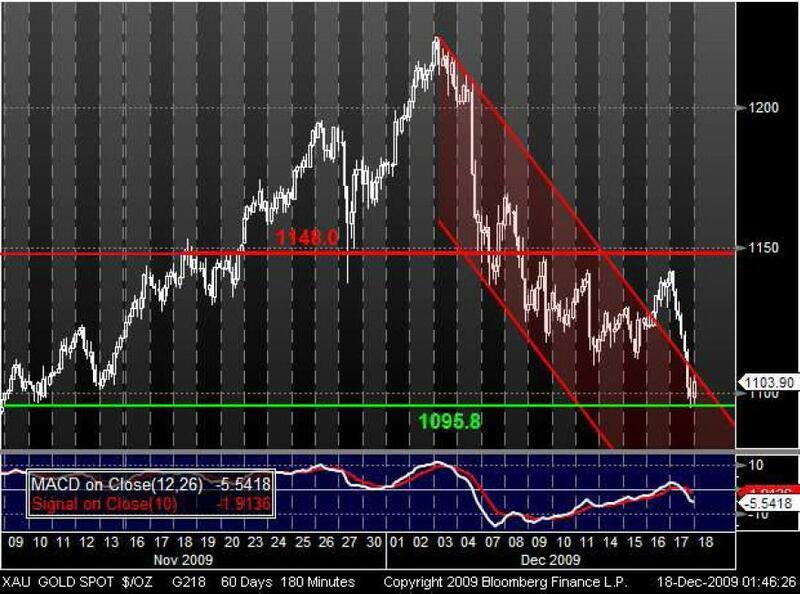 In considering of a weakening MACD indicator the bearish trend may continue if the support at 1095.8 will break. The CHF/JPY has been trading in a bearish environment during the last quarter of 2009. As similar as yesterday the currency pair opened today below its pivot point and the MA Oscillator indicates a continuing bearish trend. First supports for the JPY are located at 85.31 and 84.74. To quit the bearish trend it may necessary to cross the second pivot resistance at 87.16 and also the upper pitchfork line.